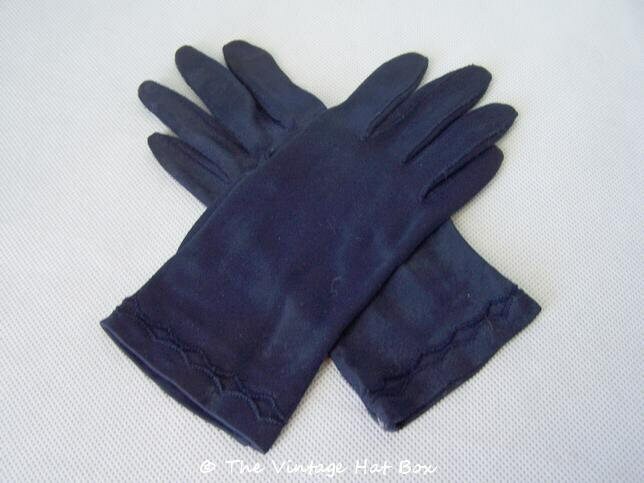 Vintage 1950's short navy nylon day gloves in very good condition. No labels or tags. Approximately a size 7. 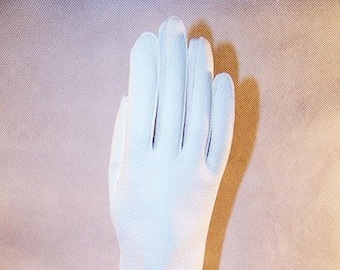 L = 8 1/4 inches (21 cm). No noted flaws. See photos. Please note photos have been lightened to show detail. 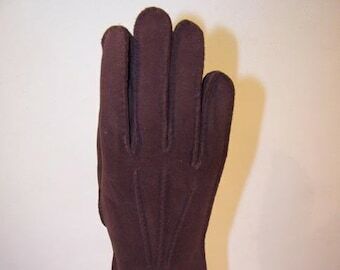 Gloves are a dark navy blue.